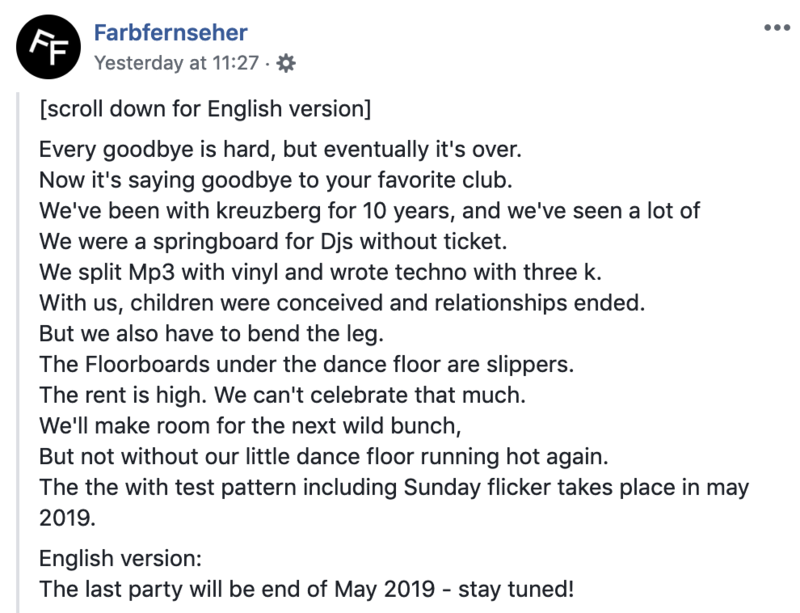 Farbfernseher, one of Berlin's best small clubs, is set to close. The much-loved space, which has been based in a former television store on Kreuzberg's Skaltizer Strasse since 2009, will bow out via a final party in May. It was recently revealed that rave tourists spent over €1.4bn in Berlin in 2018. Berlin's politicians and clubs have teamed up to make the city's nightlife more sustainable.